Moving is pretty much the worst. If you don’t believe me, it’s because you haven’t moved recently enough to remember how crappy it is. The endless packing (and unpacking), the overwhelming stress, the exhaustion, and the endless amounts of junk food. Not good times. I’m fresh off a big move and wanted to share a few of the moving tips I picked up along the way, and things I would do better next time. But hopefully there isn’t a next time for many years. This is key. The less stuff you have, the less stuff you have to move, and the less it’s going to cost to move it. Moving is the perfect time to declutter. You’re going to have to touch everything anyways, so you might as well get rid of the junk at the same time. Not everything will be garbage. That chair that was destroyed by your cat and has been sitting in your basement for years, that’s headed for the dump. But other things might be worth money. Money you can turn around and invest in your new home. Go through everything and decided whether to keep, trash, donate, or sell. The trick on making the most of your decluttering is to get started early. As soon as you find out you’re on the move, you should begin purging. Are you one of those people who think freezing leftovers is the key to endless dinners but then never actually eat them? Guilty. For the weeks up to your move date make a point to meal plan from what you already have. Not only will you reduce what you have to move, you’ll save time by limiting your grocery shopping. There are certain things you won’t be able to pack until the very end, but the majority of your belongings can be packed in advance. Take advantage of that time. The last couple of days before your move will be chaos no matter how well you plan so the fewer things left on the to-do list, the better. This doesn’t only apply to packing. Many of the things in this section can be done weeks before you actually move, like scheduling service changes and updating your address. For our recent move, we rented plastic bins instead of using cardboard boxes. I thought it was well worth the price. It cost $134 we got 30 bins for two weeks, including drop off and pick-up. The bins are easy to pack, withstand heavy loads way better than cardboard, don’t need to be taped, and are stackable. Our movers were pretty pumped we had the bins because they’re so much easier for them to haul out and load up in the truck. They’re also environmentally friendly because they can be used countless times. Plus, because they get picked up when you’re done, you aren’t left with a whole bunch of boxes, and you’re forced to unpack ASAP. New home means new insurance (yes, even if you’re renting) and that means making a dreaded call to your insurance company. This can be done well in advance. For my insurance company, they can do up the new policy 45 days prior to possession. If you are buying, it will be helpful to have the listing details, and your home inspection report handy as your insurance company will ask a bunch of questions you won’t know the answer to. This will be especially true if you’re buying an old home. 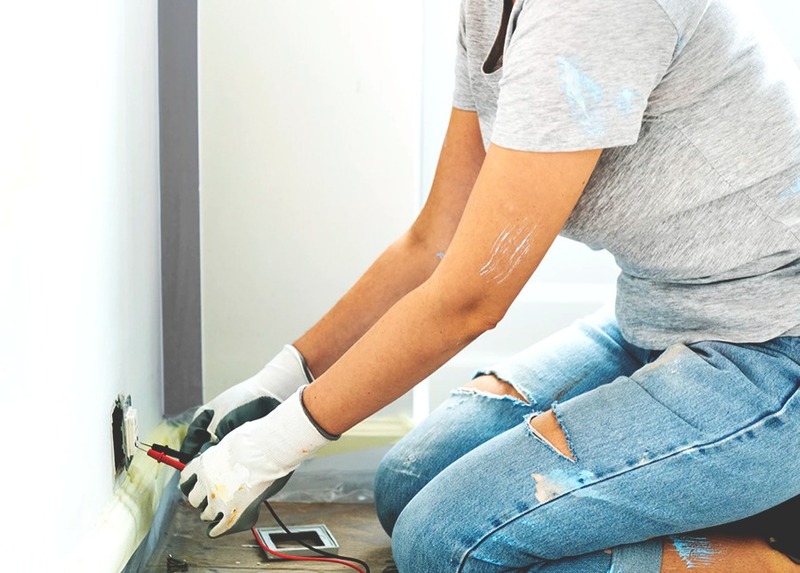 Knowing when home improvements were completed can save you money on your premiums. Make sure they send you a “binding letter”; your mortgage company will require it. While you’re at it, you should have the agent take a look at any other policies you have with them. I was able to get my car insurance premiums lowered by updating some information. You should do this every year or two, but it’s something that often gets put off. Utilities are next on the list. You’ll need to transfer gas, electricity, internet, cable, etc. before moving. And again, now is the perfect time to negotiate rates. You’re already on the phone, so take the time to ask about any promotions or even switch providers if you’re not stuck on a contract. Luckily it’s easier than ever to change your address since most places will allow you to do it online. The first thing you’ll want to do is update it on any credit cards you use. When you shop, online companies compare your address to the one on file listed on your credit card. Next, take care of anything that actually comes in your mailbox. Many of us get bills online, so it’s not as urgent. You’ll still want to update those, but it doesn’t need to be done first thing. I recommend getting your mail forwarded at least temporarily. There will always be that one bill that only comes once a year, and you’ll never think to change it. If you live in Canada, you can set this up directly through the Canada Post website. (Those in the U.S. can do it here.) It’s easy, but not free. To forward mail for a year, it’s $83.15 or $54.25 for four months. Honestly, I thought it would be cheaper. I went with the four-month option and am hoping that will cover most things. Before your movers arrive, make sure all boxes are labeled. Be detailed. Instead of writing ‘bedroom’ write ‘upstairs blue bedroom.’ That way the movers will know where everything is going and you won’t need to constantly be available directing them. I did really well at the whole labeling thing when we started packing, but not so much by the end. The Friday night before our movers came we ended up just throwing random things in the remaining bins to get it done. And of course, those last minute things were the things we use almost daily. That led to a lot of ‘where did you put the cat food?’, ‘have you seen the cutting board?’, and ‘where the hell are my headphones?’. Moving is stressful for everyone, but even more so for your fur babies who don’t understand what is going on. You’ll want to take measures to ensure they’re as calm as possible. In the days up to your move make sure they get as much exercise as possible. It’s true what they say about tired dogs being good dogs. During the move, the best thing you can do is get your pets out of the way. Find a friend, family member or pet sitter who can watch them for the day, so you have one (or four) fewer things to worry about. The moving process will take longer than you expect. By the time the movers are gone, you’ll be tired, hungry and have zero motivation to start unpacking. Pack yourself an overnight bag and take it to your new place yourself so you can change into your pj’s, brush your teeth and jump straight into bed after you’ve binged on the cold pizza that’s been sitting on the counter since lunch. Or a fresh one that you ordered in a moment of weakness. We were lucky only to move three blocks, which made it easy to transport a few loads ourselves. Instead of relying on movers to wrap and protect fragile items we moved most of our valuables the day before. It’s also a good idea to move important documents yourself. Passports, birth certificates, financial information, etc. are best kept in a safe and in your possession. Better safe than sorry. It can be helpful to get access to your new place before actually moving. That way you can do a good clean while the house empty. Keep a cleaning kit accessible so you can easily take it back and forth between your places. After everything is moved out of your old place is also the best time to clean. You’ll be able to vacuum those nasty spots under couches and beds that have gone ignored for years. Maybe the best part about renting the bins was having a deadline to have everything unpacked. Cardboard boxes give you the ability to put them in a closet or the basement and forget about them. We had to have all the bins emptied three days after moving in. That’s the good. The bad is that everything is out of bins but not necessarily put in the right place. In our new place, we have a ridiculous amount of cabinet space. It will be a process figuring out the right home for all our stuff, but at least the house looks unpacked! Moving means eating out. Before the move you don’t want to buy more food or pull out pots that are packed, and after you are exhausted and have no groceries. After a few days of eating fast food, I was done. Eating a home cooked meal in your new place is the one thing that makes it feel like home. Force yourself to the grocery store and make one of your favorite comfort foods to christen the kitchen. In the social media world we live in, images don’t have the same lasting impact they used to. We’re constantly taking, posting, and forgetting images but there are certain moments you want to remember. When we moved into our first home eight years ago, we took a bunch of pictures. It was very cool to go back and compare those to the images we took when we moved out. We did a lot to make the place ours. I made sure to do the same thing this time too. I’ve got a long list of projects to work on so this place we look a whole lot different in a few years. One of my favorite parts of owning a home is updating it to fit your style. We had stopped doing this in our old place because we knew we wouldn’t be there for much longer. There was no point spending money to update a place we weren’t staying in. Not anymore! My project list for the new place is growing by the day. Both the bf and I fell in love with this place the first time we saw it, but there were things we didn’t love. Almost the whole main floor is yellow. It’s too much, so painting was high on the list. Now that we’re in, we realize there are other things that need to be priorities. I bragged about how much storage we had, and that’s true, except in our main bathroom. The bathroom is huge, but it seriously lacks storage. I thought we’d be able to make it work, but it’s driving me crazy. A new vanity will be on its way ASAP. When you’re applying for a mortgage, you want to stay away from any significant financial changes. Don’t change your job, max out your line of credit, or apply for a new credit card. After you’re moved in though, that’s a new story. Now don’t go crazy; we all know credit card debt is bad. But, if you are planning to spend on your new place, it might make sense to sign-up for a new credit card. Many rewards card have sign-up bonuses that have a minimum spend requirement. With normal spending, you might not hit that minimum spend, but your new home expenses might get you there. Moving into a new place is exciting and should be celebrated! Once you’re in and settled give yourself permission to enjoy it. Buy some flowers to freshen up the place and pop some bubbly. You deserve it; you survived moving! Tell me your best and worst moving stories! And let me know if you have any moving tips I’ve missed.